>For ages now this blog has focused too much on the kittens & my DD’s awful behaviour. Partly because the kittens are new to our lives & very cute and that her behavour has been so awful but also because I haven’t been able to show any knitting as it was all to be gifted to other people. This yarn is so soft & squidgy that it’s perfect for a pair of snuggly bedsocks. I’ve even started a pair for myself! >I love seeing pics of your kitties, and every parent needs to vent about bad behaviour. My 13 yr old son is terrible at the moment (can you trade them for another one at xmas), so I understand your feelings. I love all the socks, so pretty and the colors are gorgeous too. 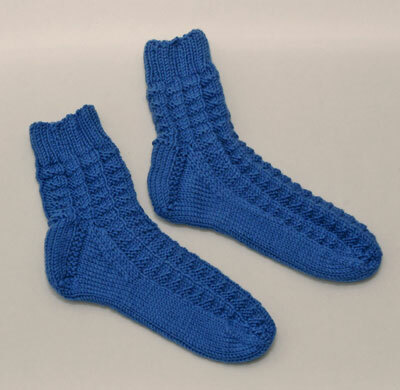 >Some fantastic socks there BlueA! 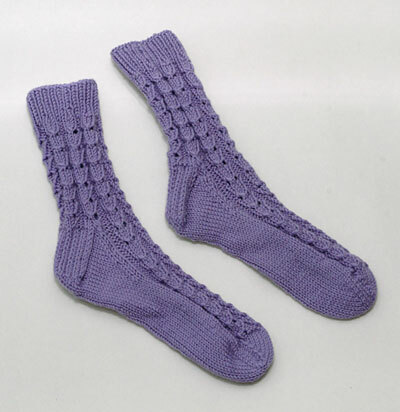 >Lovely snuggly looking socks. And please don`t stop the cat piccys, it`s lovely to see Lyra and Ginny, they are just gorgeous. >What a wonderful array of socks … absolutely love the pink babled one’s at the bottom. Kids. eh?? Carry on venting – we all need to at times to keep sane. My middle SS has lived with us for over 14 months and he’s COMPLETELY beyond! >beautiful socks! I love the ones that you are knitting for yourself. The pattern is just gorgeous!! 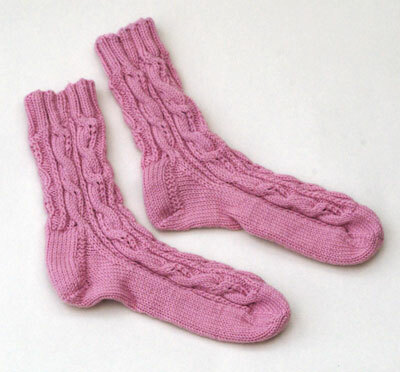 The pink yarn is very lovely too. I am sure your neice loved them. do the patterns come in different sizes or did you have to resize them? keep the cat piccies coming.